Get the benefit of color without the expense of color printing. Bright colored paper for everyday use. Great for flyers, memos, newsletters, and more. Inkjet, laser and copier guaranteed. Consistent color from side to side, and run to run. Acid-free and lignin-free for long-lasting documents. Size: 8 1/2 x 11; Paper Color(s): Bright Green; Paper Weight: 50 lb / 74 gsm; Sheets Per Unit: 500. 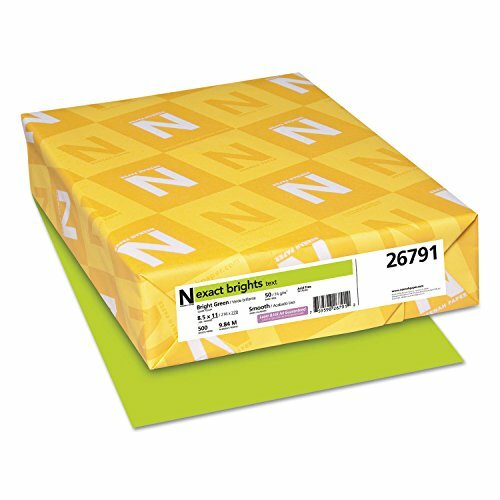 Bright colored paper for everyday use. If you have any questions about this product by MOT4, contact us by completing and submitting the form below. If you are looking for a specif part number, please include it with your message.